Obtenez ce transfert de bail pendant 12 mois pour des paiements mensuels équivalents U 575.38$/Mois +Tx apr s incitatif. Vous pourrez rouler 2,250 Km par mois. 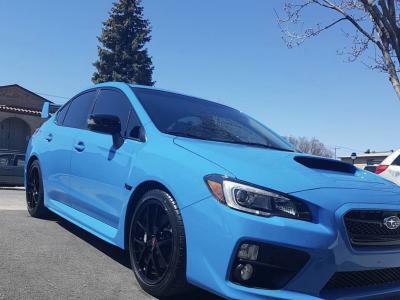 Subaru STI 2016 Fermer la fentre. Comes with new summer tires. Michelin pilot sport 4AS Comes with new winter tires. Michelin X-Ice 3 Comes with winter mags 17\" black. Comes with weather tech for front and back.